Presidential candidates have quickly learned the importance of appearing calm, cool, and collected when they step up to the podium for these televised debates. Many candidates spend a great deal of time and energy learning how to engage with the cameras and the audience effectively to appear “presidential” in stature and demonstrate their leadership abilities in these debates. And the reason for this is that presidential hopefuls have learned from the failures and successes of the first presidential candidates who participated in a televised debate on another September 26 — 56 years ago. On September 26, 1960, Massachusetts Senator John F. Kennedy and Vice President Richard Nixon ascended the stage in Chicago, where they would make history as the first ever presidential candidates to appear in a televised debate. This first debate was one of four, known as The Great Debates, which aired on multiple networks for tens of millions of Americans to watch from the comfort of their homes. The legend of this debate has now reached mythic proportions as every poli-sci student inevitably learns about how this television appearance seemingly changed the nature of presidential elections. The reality of the debate though does not quite live up to its mythic status. During the debate, both Nixon and Kennedy soundly spoke about their views on domestic issues facing the US at the time. There was not nearly the same back-biting drama that modern television audiences expect to see and hear when they watch political candidates face-off against each other. Nothing that either candidate said was particularly “newsworthy” as that term is understood today. It was a clear and concise discussion of policy. Then again, what made this debate so legendary was never what was spoken, but how the candidates appeared on camera and how their appearance potentially changed the course of the election. Part of my practice at Athene Strategies is to coach leaders as they prepare to appear on camera. The old adage is that ‘the camera adds 10 pounds,’ but in fact it is much more complicated than that. The nature of the camera is that things become distorted. Small movements, positions, body language becomes exaggerated through the camera lens, so leaders appearing on camera need to be prepared for those distortions and know how to use them to their advantage. When I train leaders on how to appear calm and confident on camera, I videotape them as they begin to deliver their prepared remarks and review how they appear on camera, and how to change behaviors that show nervousness rather than confidence and will cause audiences to disengage. In my own assessment of the Kennedy-Nixon debate, Kennedy looked directly at the camera or at the moderators when speaking. While he might have touched the podium, he never leaned on it. His stance was firmly grounded, and he rarely if ever shifted. When he was not speaking, he appeared to be thoughtfully listening, remaining engaged throughout the preceding. He appeared confident and comfortable on camera. Nixon, on the other hand, appeared the opposite of comfortable. He frequently shifted from one foot to the other, likely to relieve his aching knee. He leaned on the podium for support, rather than standing on his own two feet. When he spoke he smiled occasionally, but often not enough while speaking, which made him appear angry or hostile. When he wasn’t speaking, he looked either annoyed, uncomfortable, or unwell. Whenever a leader steps onstage to address an audience, 90% of what the leader is being judged on are the physical aspects of what they are saying—the body language the leader exudes and the quality of the leader’s voice. Only 10% of what a leader is judged on is what that person actually says. A key lesson in communication is to commit to learning how to engage with audiences effectively. And that means that leaders need to master the physical aspects of audience engagement, whether speaking on camera or with an audience in person. On September 26, 1960, Nixon forgot this very important fact, and it cost him that night and for the rest of that election, which he ultimately lost. 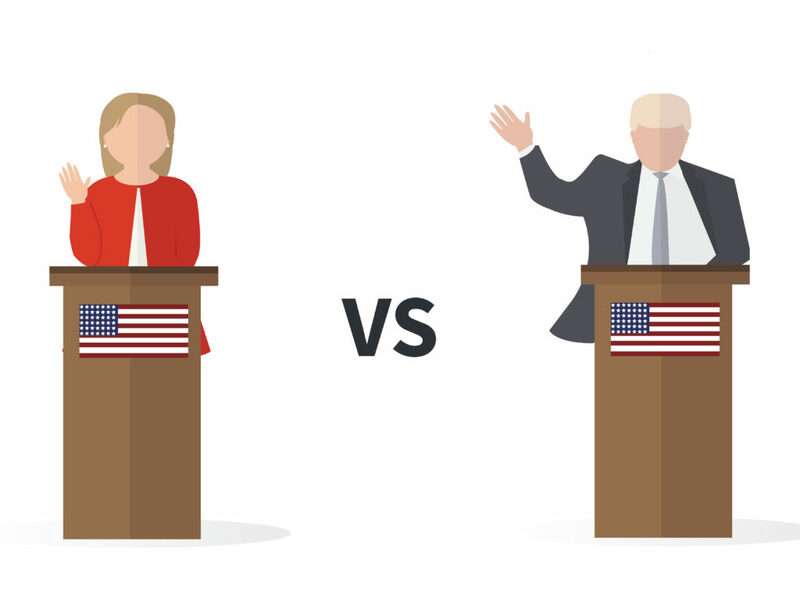 As the two current candidates for president prepare to take the debate stage on this September 26, both Clinton and Trump will need to not only remember their pre-written debate points, but also this important lesson in communication. If a picture is worth a thousand words, then let the picture these candidates create help, rather than hurt, their candidacy. [i] Gomery, Douglas. Media in America: The Wilson Quarterly Reader, Revised Edition. Washington, D.C.: Woodrow Wilson Center, 1998: 105. [v] History.com Staff. 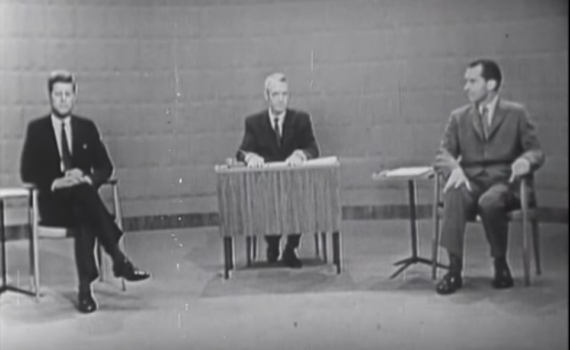 "September 26, 1960: Kennedy and Nixon Square Off In a Televised Presidential Debate." History.com. A&E Television Networks, 2009. Web. 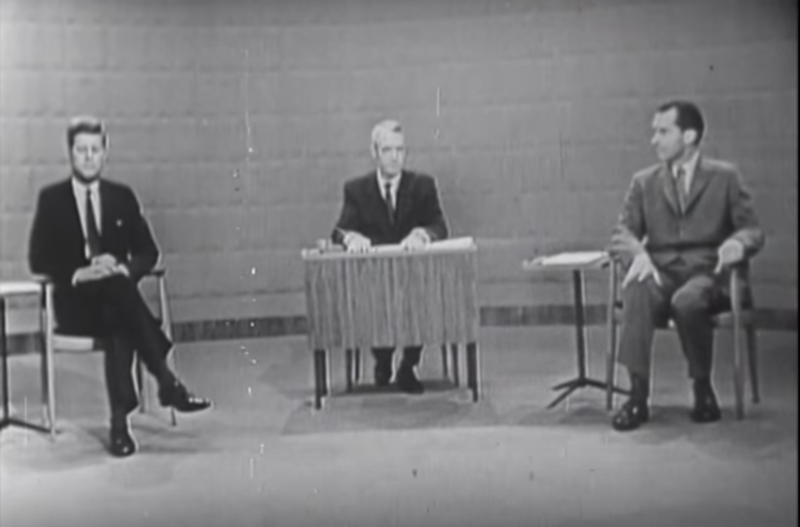 < http://www.history.com/this-day-in-history/kennedy-and-nixon-square-off-in-a-televised-presidential-debate/print>. [vi] Botelho, Greg. "JFK, Nixon Usher in Marriage of TV, Politics." CNN. Cable News Network, 24 Sept. 2004. Web. < http://www.cnn.com/2004/US/09/24/jfk.nixon.debate/>.